Hi Friends! I hope you had a wonderful weekend! We had a great day on Saturday, and it took us all day Sunday to recover (the older I get the more of an introvert I become, I think)! 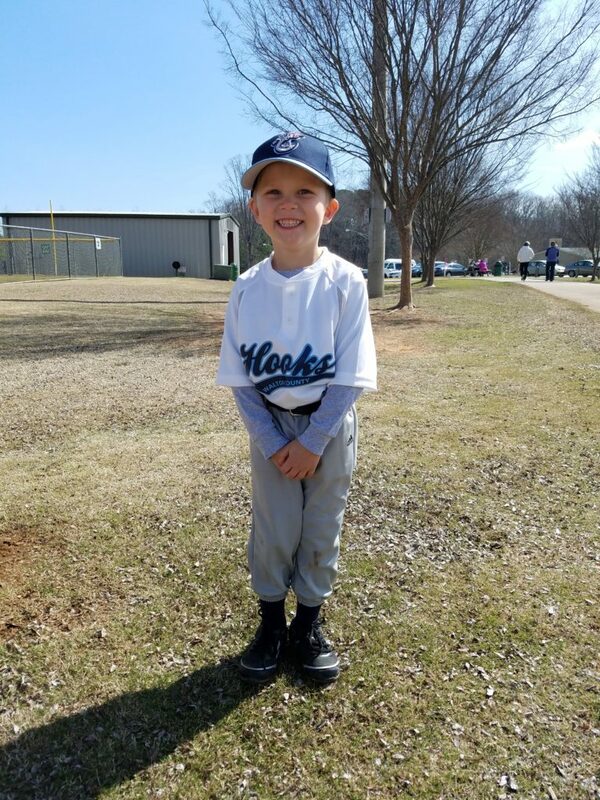 Our little baseball star had his first Opening Day on Saturday! After his scrimmage game on a COLD Friday night (and quite the tumble on his way to first base, though he did pop right up and keep running to first after the roll! ), he was so excited about his first real game. And what a beautiful day! But first, pictures! Scott is on the far left, and Ben is second from the right. 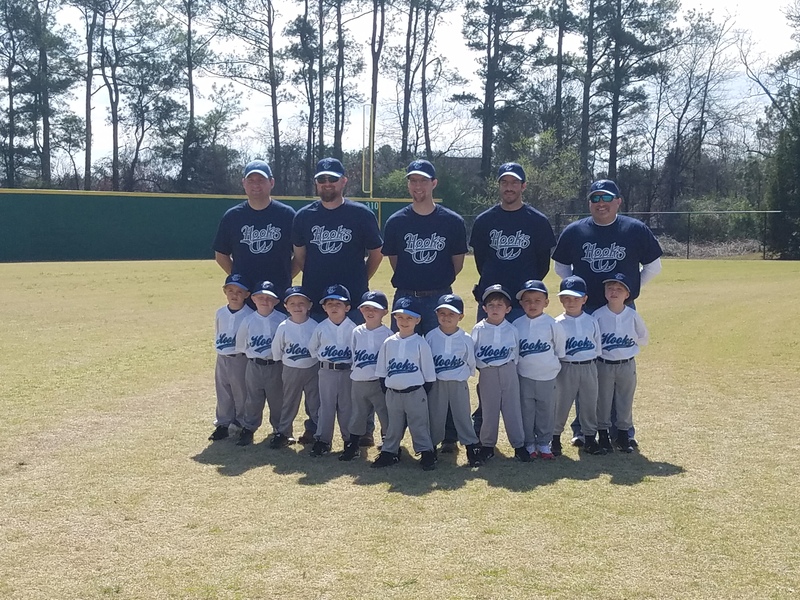 And let me just tell you, getting 11 little four-year-old boys to stand still for pictures nearly took an act of Congress, but how cute are they??!! Ben did great during his game. He hit twice off the tee (they don’t even try to pitch the ball to them at this point), and he hustled and ran after every. single. ball. that was hit in the field! Scott had to get him to stand back and let some of the other boys field the ball! 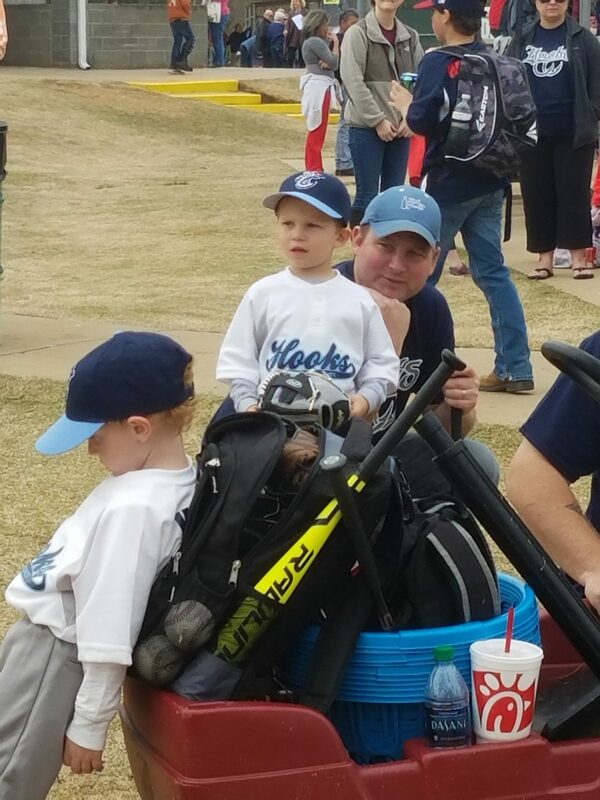 He had a ball, and was so happy to have Nana and Pop come visit to watch him play! 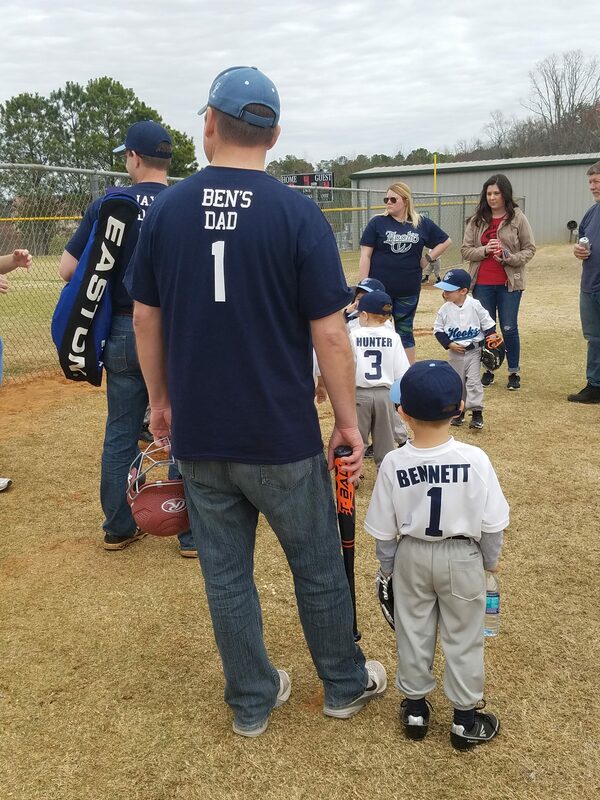 Ben has fun playing, but I know he loves it even that much more because Scott is helping coach. He loves it that Scott throws with him and practices in the front yard on the days he doesn’t have official practice. Oh, these two. And on a selfish note, I love being at the ballfields. My brother and I both grew up playing baseball and softball, and for years, weeknights and weekends were full of ball practice and games. I even love concession stand food! 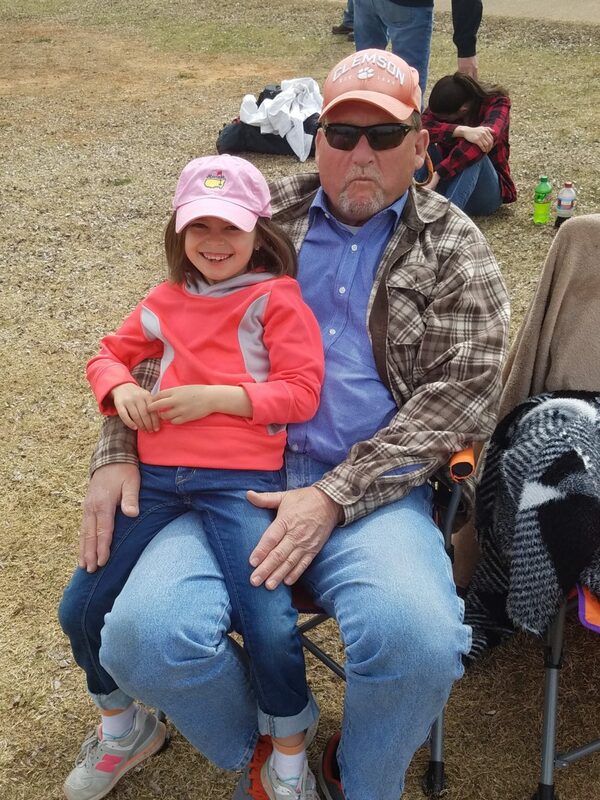 So bringing the kids out for a day at the field was really fun. 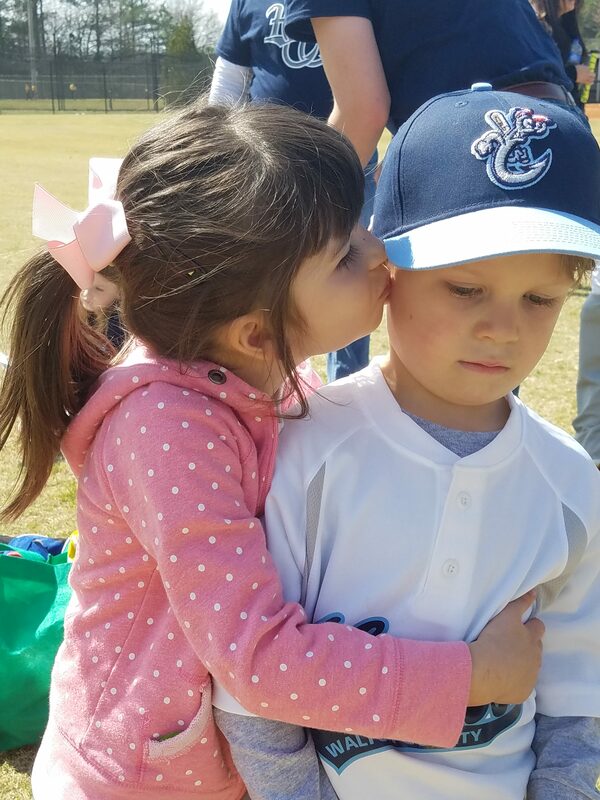 Brantley and Grayson are playing soccer this season, but Brantley even mentioned that she wants to play softball next year. 🙂 Here’s hoping that we have lots of future years at the ballfield. But, let’s make this season a success first! Go Hooks!! Hope y’all have a fantastic start to your week! !